"They fall before me, one after another." Can Hanzo put the ghosts of his past to rest? 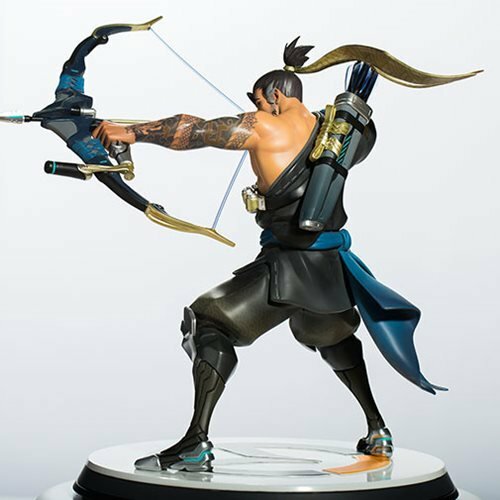 Incredible 12-inch tall statue features every in-game detail! Inspired by the team-based video game Overwatch. 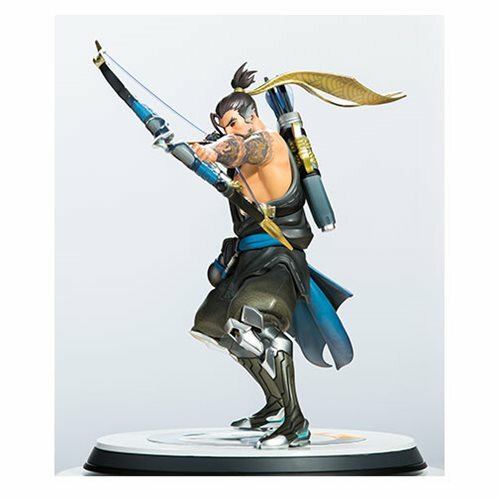 This wonderfully detailed Overwatch Hanzo Shimada 12-Inch features an impressive recreation of every in-game detail in 3D! 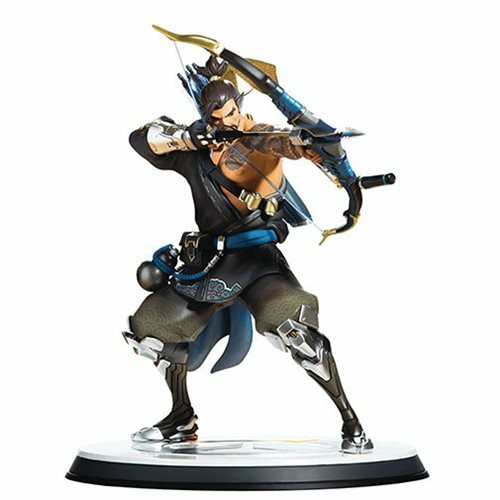 Inspired by the team-based video game Overwatch, warrior-without-peer Hanzo Shimada belongs in your collection! Hanzo Shimada is the son of the former master of the Shimada clan. From a young age, he was groomed to take over leadership of the family as his father's successor. Upon the death of his father, the clan elders ordered Hanzo to straighten out his wayward younger brother, Genji, so that he too might help rule the Shimada empire. When Genji refused, Hanzo was forced to put him down. Believing he had killed his brother broke Hanzo's heart and drove him to reject his father's legacy, ultimately leading him to abandon all he had worked so hard to attain. Mastering his skills as a bowman, Hanzo now strives to prove himself as a warrior without peer and to put the ghosts of his past to rest.